Racial divisions are currently being highlighted by our media and dominating the political discourse of the nation. While racism, racists and issues of racial division do exist, the extent to which they are being portrayed is not only far worse than the reality, but a deliberate tactic used by government agencies, and their allies in media, from time immemorial. 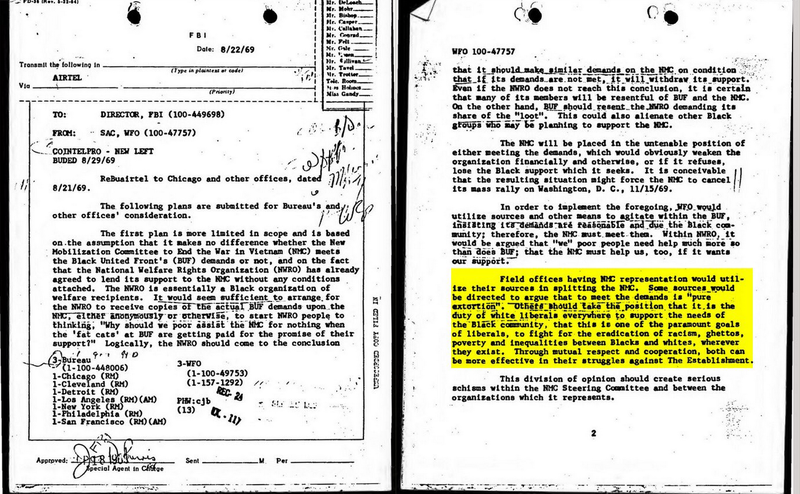 The tactics in the document above, written in a 1969 FBI memo look like a playbook for the tactics being used today. From "Bernie Bros" to "Antifa" to the threat of "White Supremacy", people are being pitted against each other in order to stifle social advancement and any perceived threat to entrenched power. The infiltration of the media and control by the CIA has been extensively documented over the years. 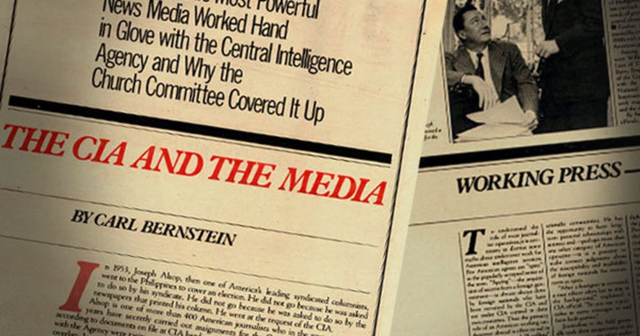 In 1977, reporter Carl Bernstein, of Watergate fame, wrote a 25,000 word investigative essay detailing CIA involvement in media manipulation. More recently, proof has emerged through the examination of thousands of government documents obtained through FOIA requests that the content of over 1,800 movies and TV shows was (and continues to be) directly influenced by the NSA, CIA and other intelligence agencies. Films from Enemy of the State to Meet The Parents were manipulated by government agents to exert their influence. It is only through awareness that we can resist these widespread government efforts to manipulate and control us through their levers of power in the media.